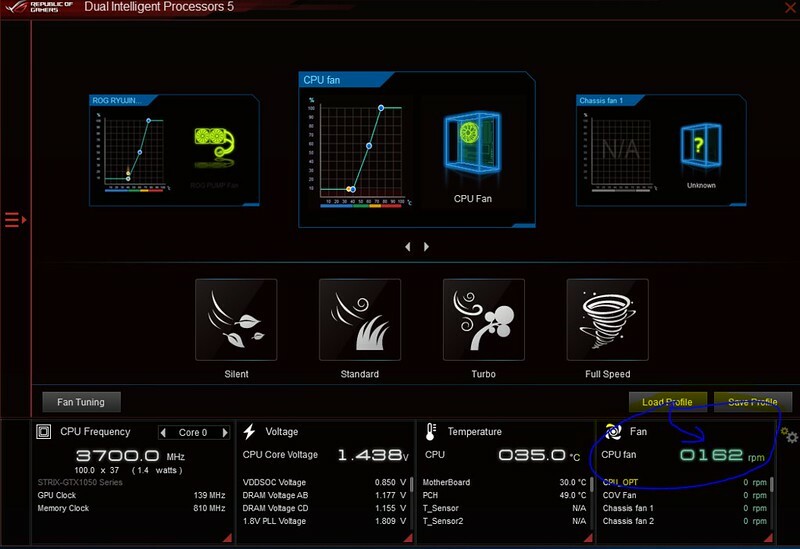 History of CPU cooling is longride way. 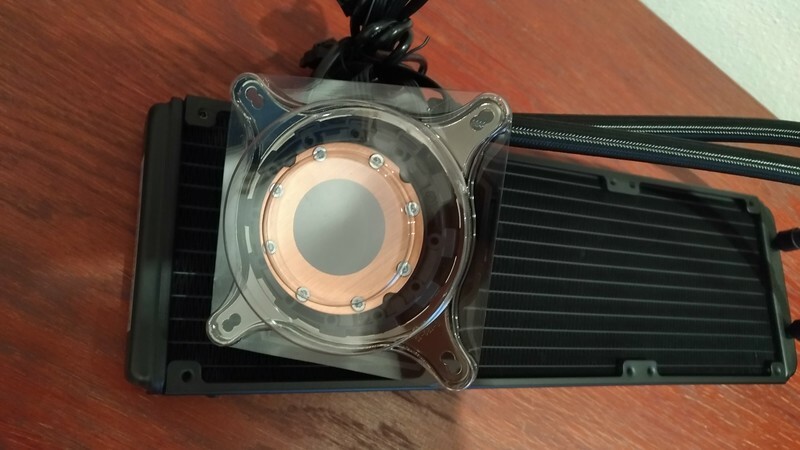 From basic coolers to extreme cooling as example LN2. We can remember 20 years ago...Yes, everything looks like stock boxed cooler But different was the cooler for AMD Thunderbird CPUs. 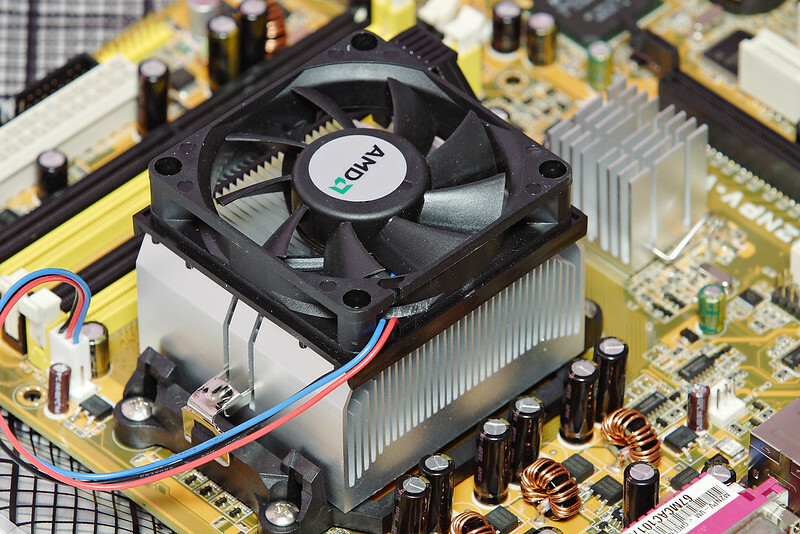 Cooling systems were evolved, first home liquid cooling and worldwides forums were full of users. They shared about all inforamtion how to do home setups, how tweak the processors etc. etc. It is history. Today people want to have cooling system ready to use with good design, easy installation and silent working. 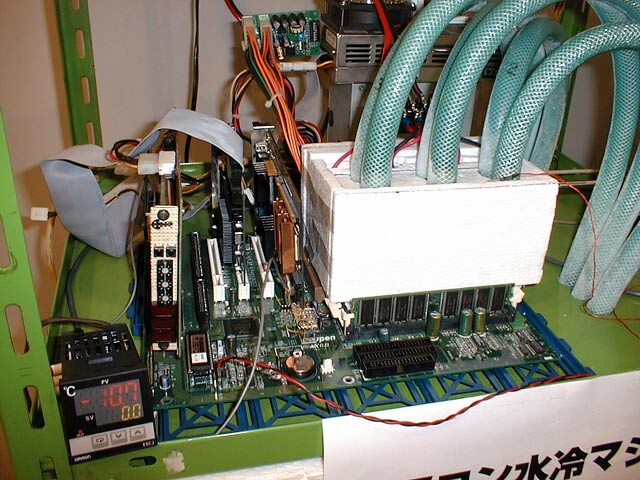 At the end of 90s started also extreme overclocking. In Japan guys cooled PC with dry ice or liquid nitrogen. 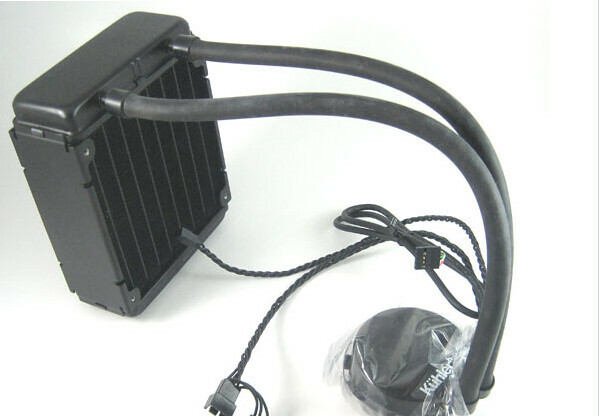 About 10 years ago there was big market with aircooler with high cooling performance and low noise. In this age came first AIO Coolers. 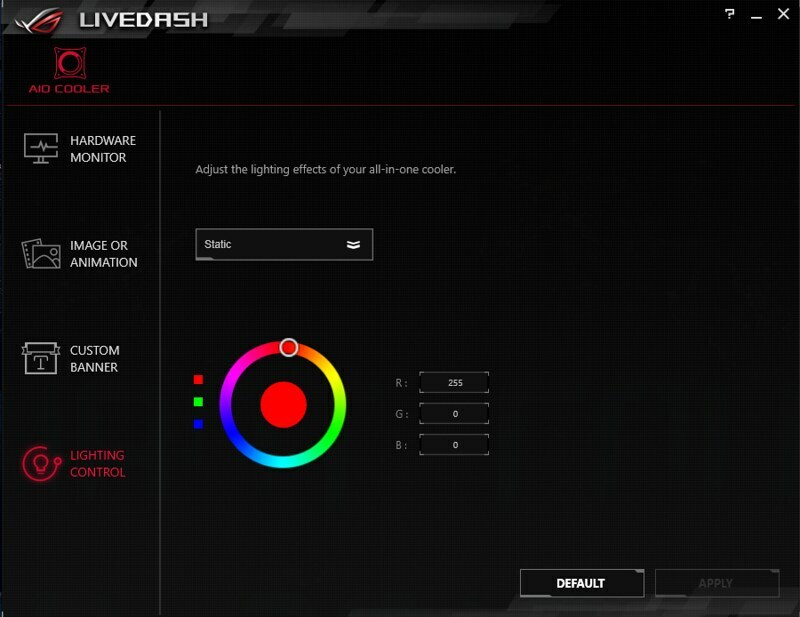 Im thinking, one of the first was Corsair H50 and Antec Kuhler series. 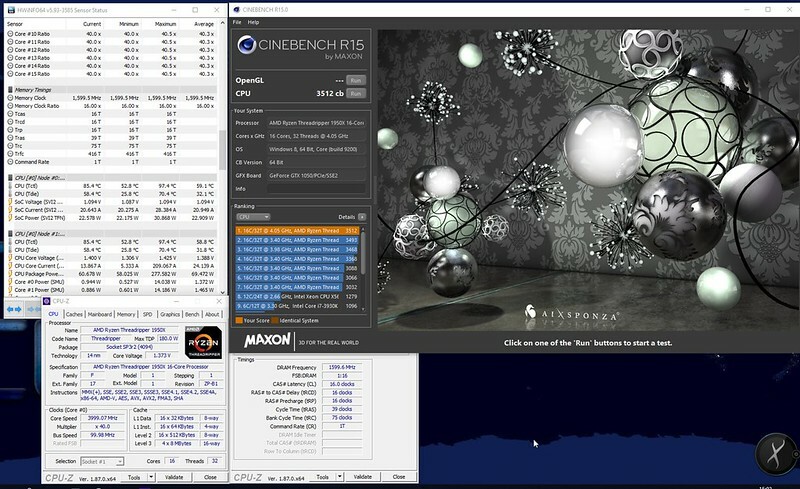 This Antec (model 920) was very strong, but with max RPM really noisy. 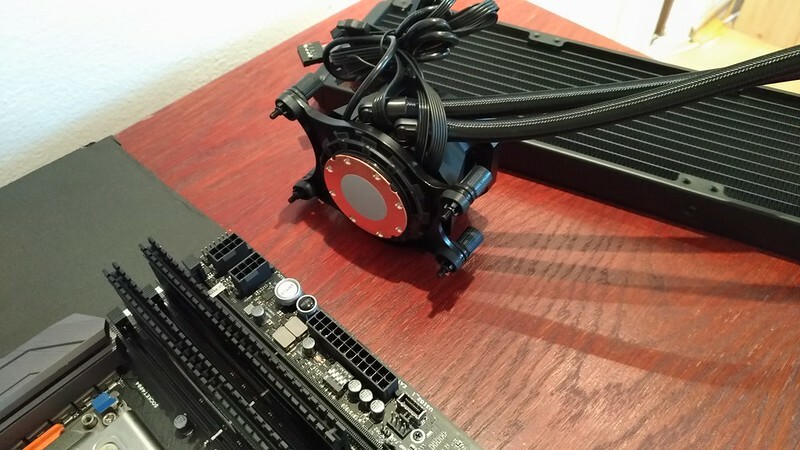 Later tthis cooler was as revision for AMD Bulldozer bundle (CPU+FX AIO cooler). 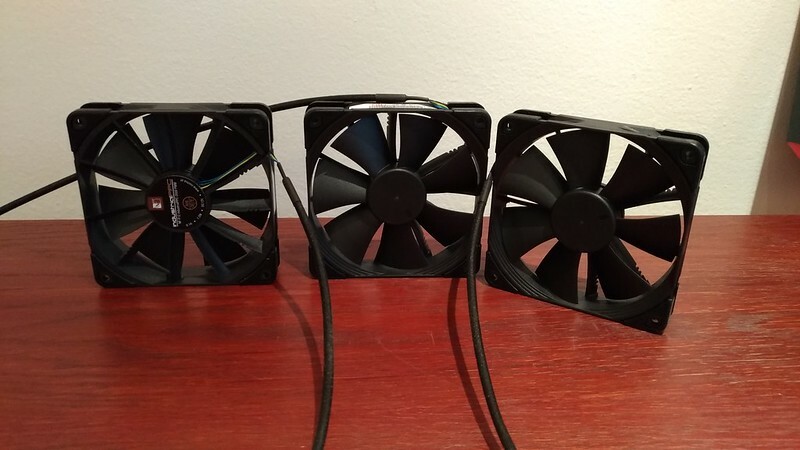 Do you know, Asus had Air coolers many years ago? 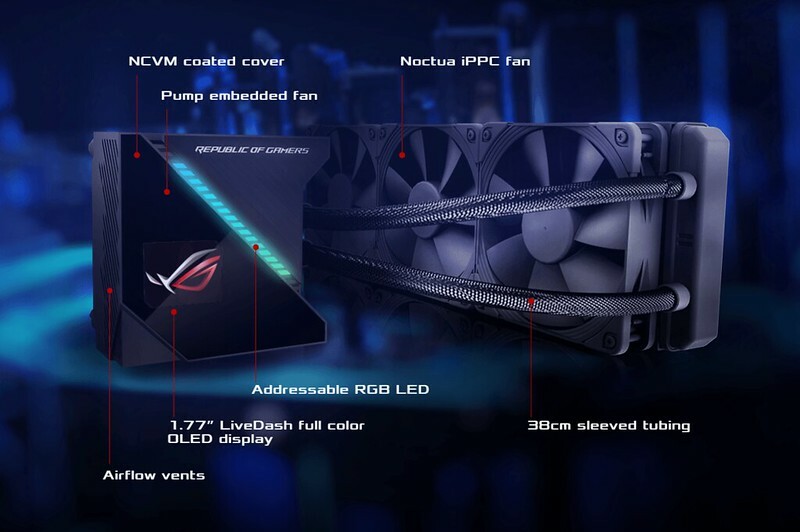 Do you know Asus Triton or Asus Silent Knight? 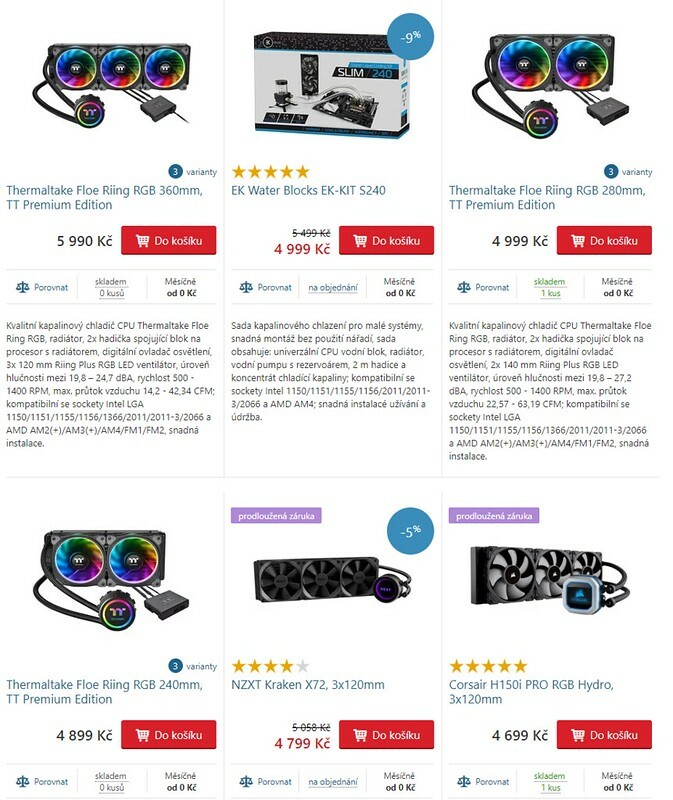 So this company has some experience with cooling and in 2018 they are selling AIO coolers. There is ROG Ryuo and higher model ROG Ryujin. Ryuo exists in 120 a 240 mm version of radiators. Ryujin has 240 and 360 models. 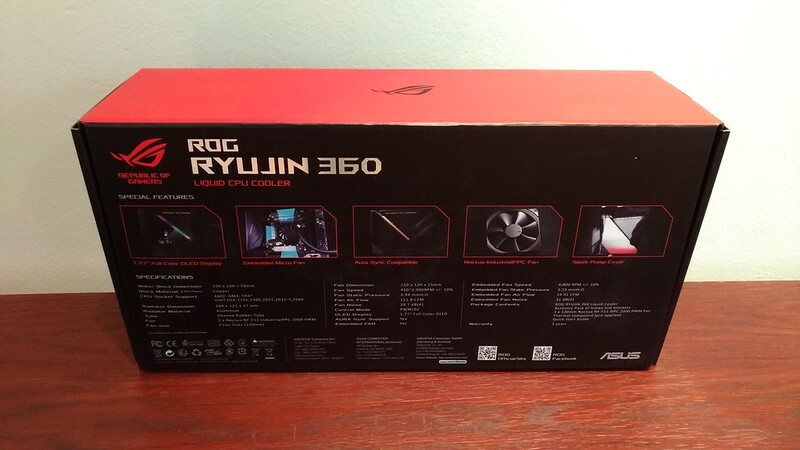 But we will focused on highest ROG Ryujin 360 today. 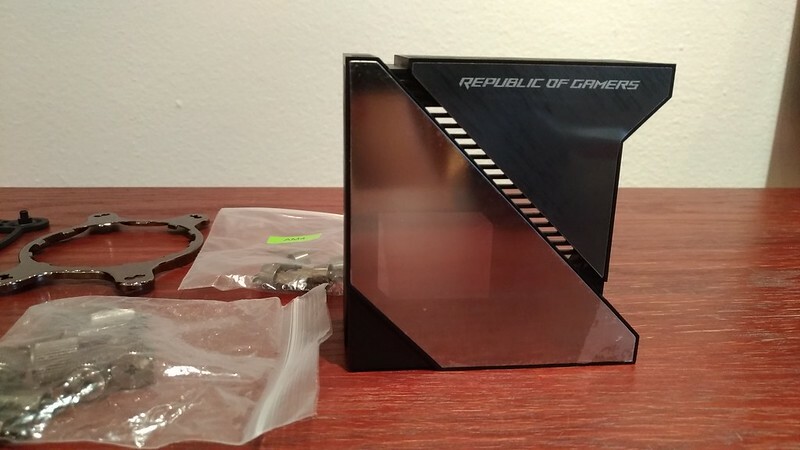 Noctua fans, cool design, sleeved tubes, adressable RGB LED and OLED display and inside the embedded fan. Thats it! This is what I like. 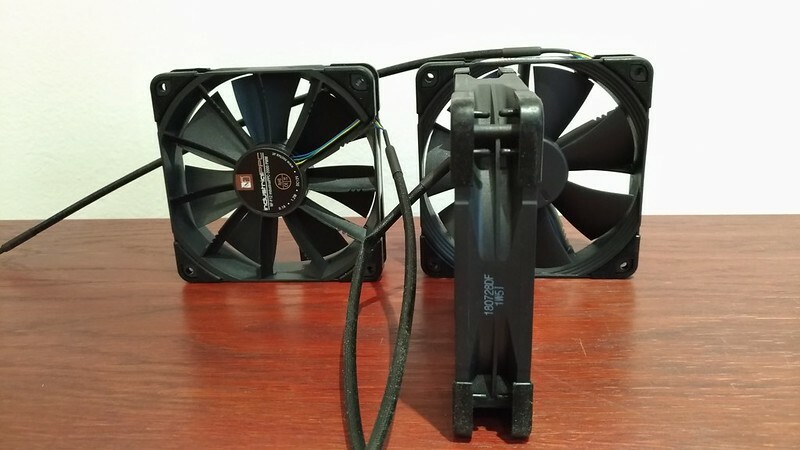 Emedded small fan to cools VRM of the motherboard or first M2 slot. 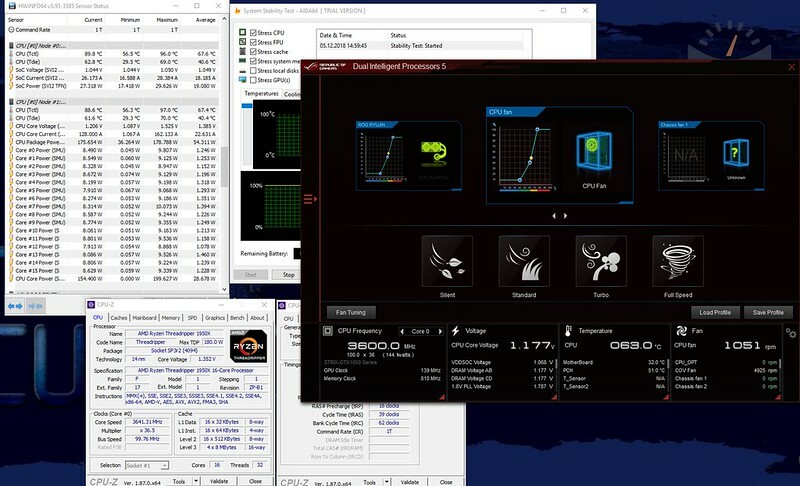 This is special y necessarily for Z390 with 9900K OC combination or X299 or X399 CPUs. 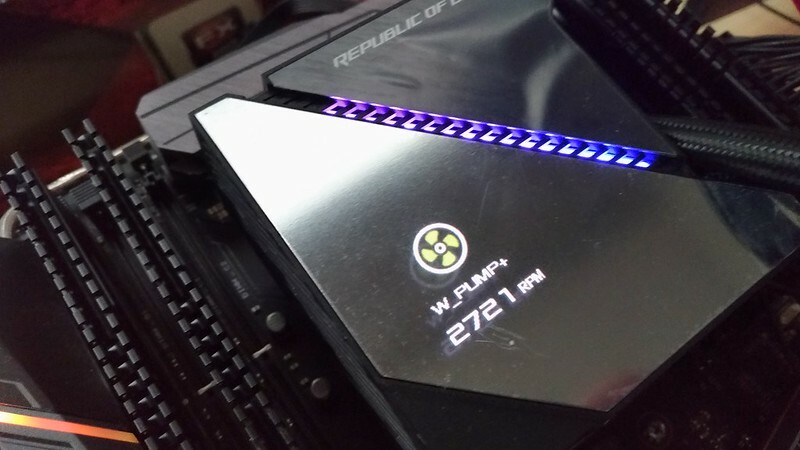 On the box, in ROG style, front part shows important information about Noctua coolers and on the back side of box are features like OLED display 1.77", small "VRM" fan on CPU block and about AURA Sync. Inside the box are three Noctua Industrial fans about size 120x120x25mm. Those fans working in range 450-2000 rpm and cooling performance is up to 122CFM. You propably know, Noctua fans are really effective in performance/quiet ratio. 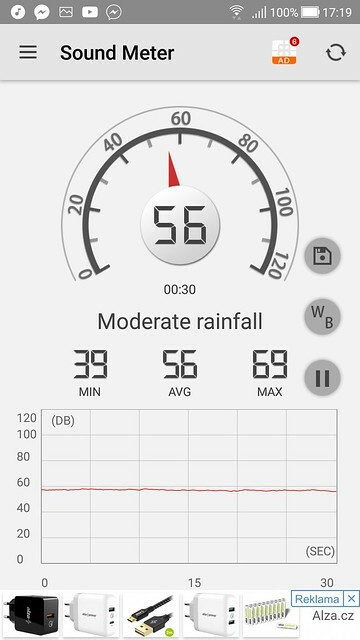 Specs says only 29.7 dB!! 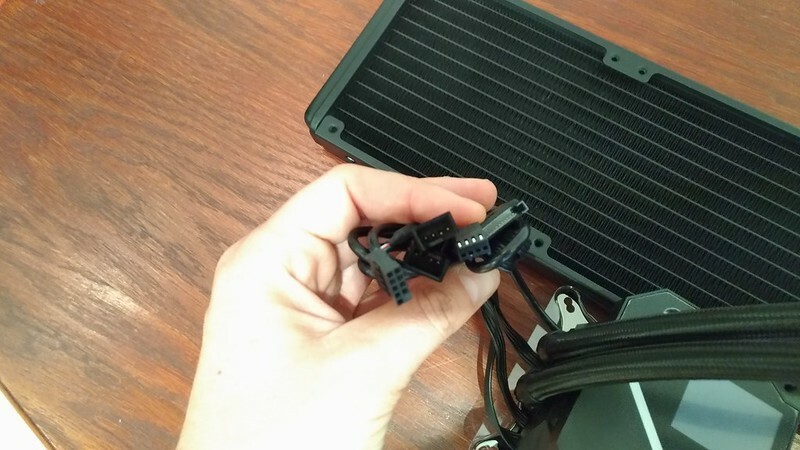 Fans have braided cable with 4-pin PWM connector. On the photo you can see noise reduction rubber pads. Socket reductions and many screws for installation. The cooler is from factory ready for LGA115X motherboards. 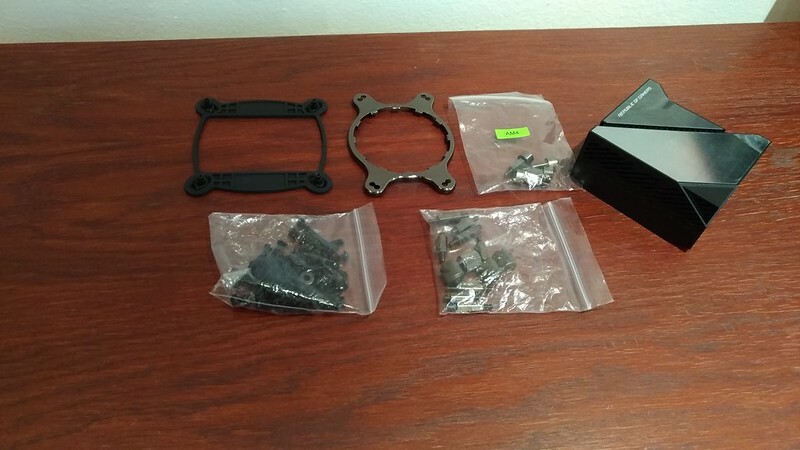 But you cand find in accessories AM4 bracket and universaly backplate. For TR4 you need change the bracket which is inside the box of TR4 CPU (Threadrippers). 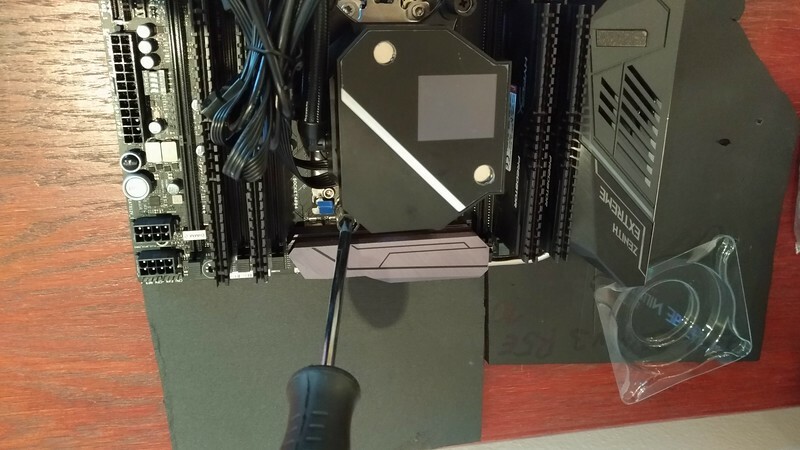 Plastic design cover over the CPU pump. You can see plastic "window" on the bottom corner for OLED display informations or animations. 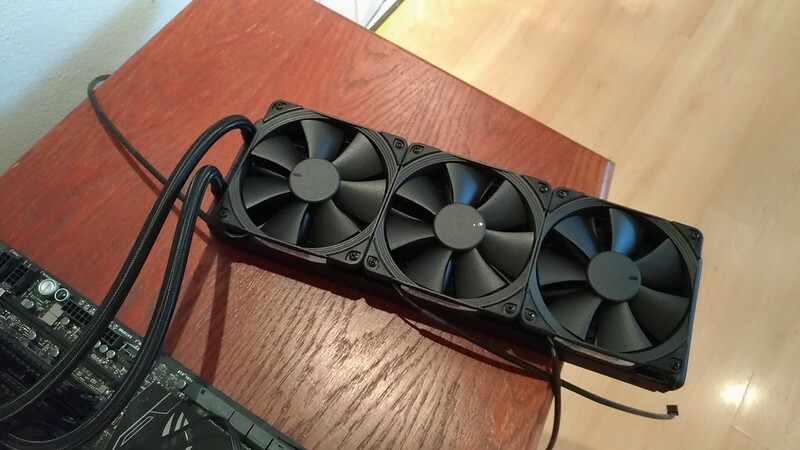 Radiator is classic 360 alluminium material, thats mean for 3x 120mm fans in one row. 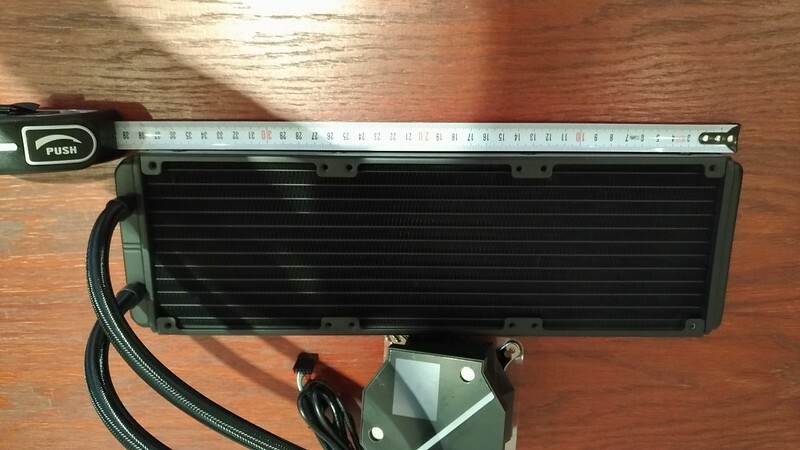 Real lenght of radiator is over 390mm, widht 121mm and thickness is 27mm. Rubber tubes have about 430mm lenght including screws (390mm without it). This is more than enough for most of cases. 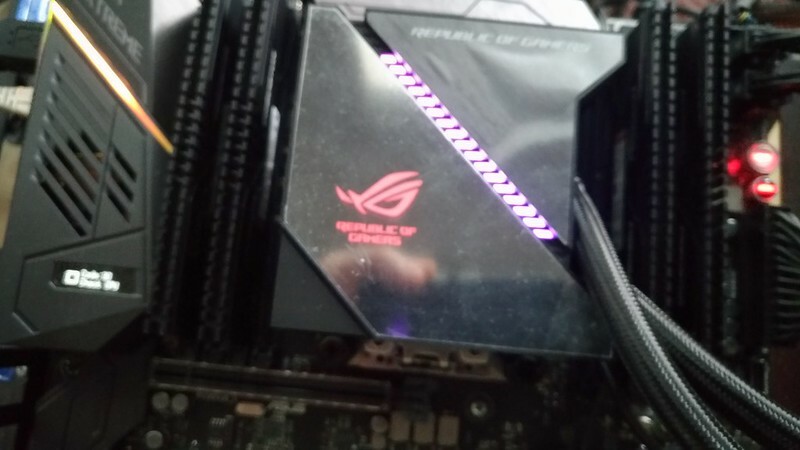 CPU integrated block contact is a copper. 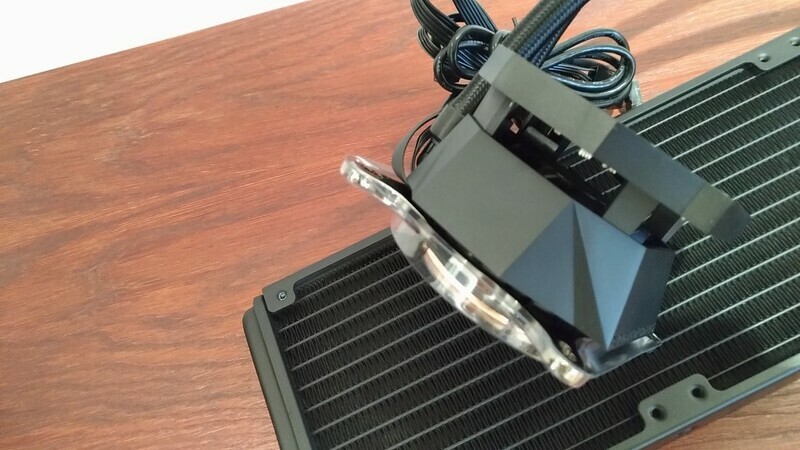 The side view on the block show the small fan inside for VRM cooling. The size of fan there is 60mm. On the top of integrated block is OLED display. Connectors in my hands including 2x PWM female connectors, SATA cable for power, USB 2.0 connector and 4-pin PWM for the pump. Zhe installation process is easy. 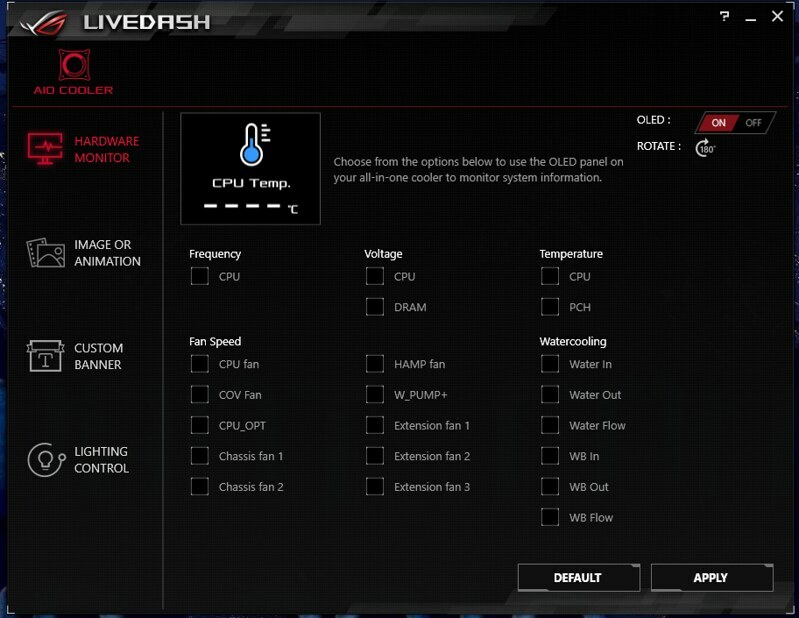 From stock is preinstalled cooler for Intel LGA type of platform. For AMD AM4 we have reduction in the package. 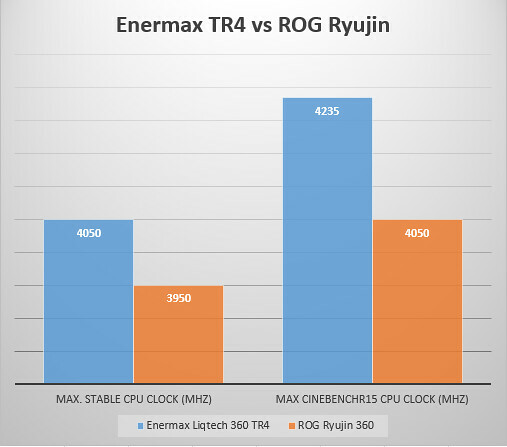 For TR4 socket we can use Asetek reduction from CPU package. Then we will use screws for hold the cooler. Now you screws up directly to the motherboard - no backplate needed for TR4 socket. In the end I set up the Noctua fans on radiator. 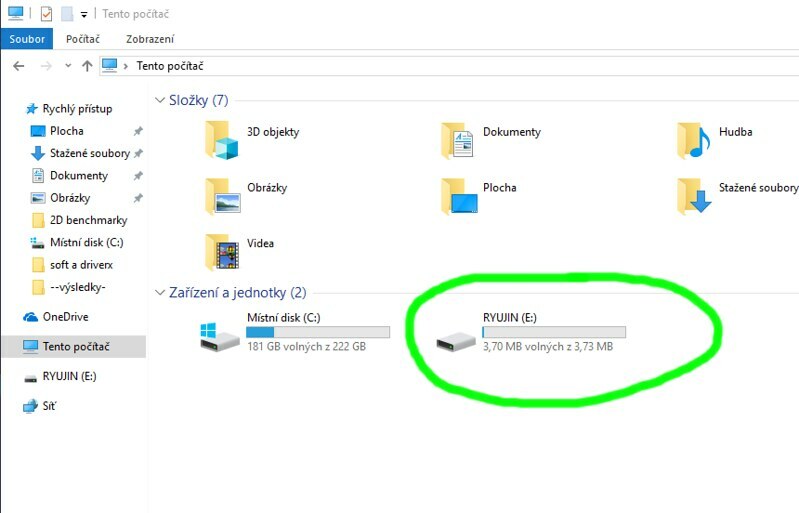 After start the PC has ROG Ryujin own small storage for firmware (on the screen). Do not remove this storage or do not format it. 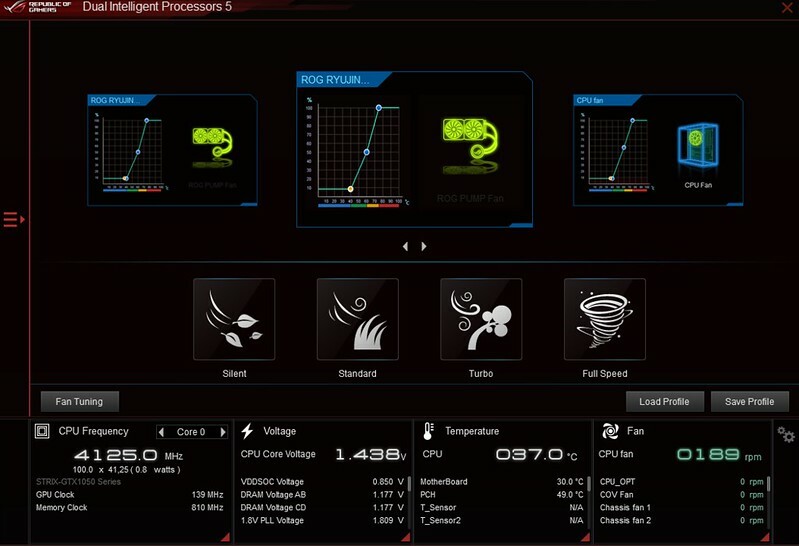 Fan Xpert is part of Ai Suite software (Asus motherboards). I recommend download last version from website of MB product. And is it good way to tweak your cooling depends on temps and rpms. 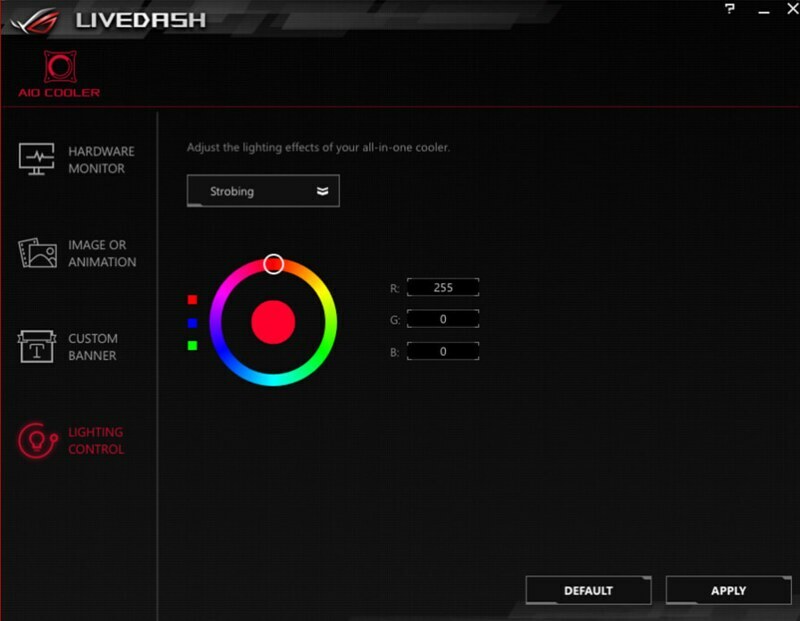 LiveDash app is for tweaking your OLED display and set RGB colors or synchronization AURA effects. You have choice between hardware monitoring informations or custom gif animations or custom banner or simply some yours photos. Few examples lower. 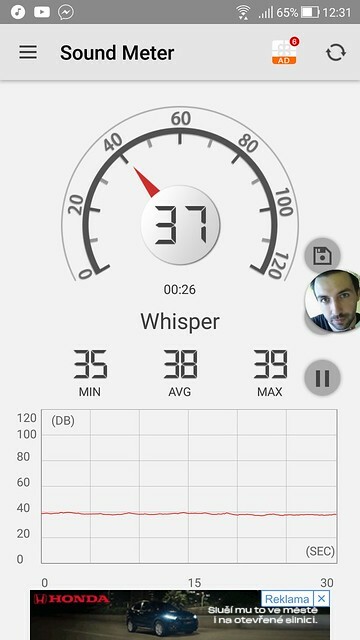 CinebenchR15, AIDA 64 stress test, hwinfo, Sound meter - phone app. 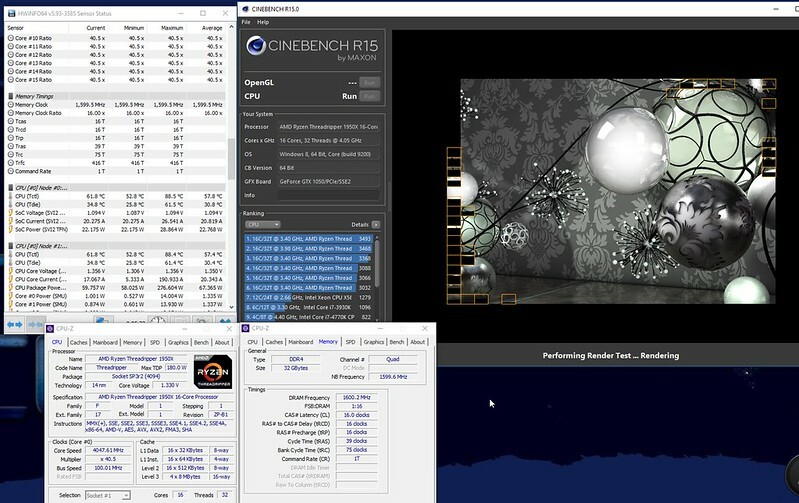 First time I run CinebenchR15, max temps on CPU were 60 C.
After I ran AIDA stress test (including AVX) After the temps was the same, I measured noise also. 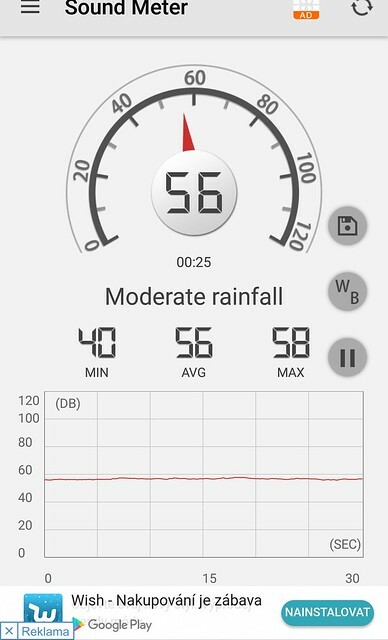 It was about 46dB average, keep in mind, it is still open case and very close distance (20-30cm) - thats not typical customer situation. 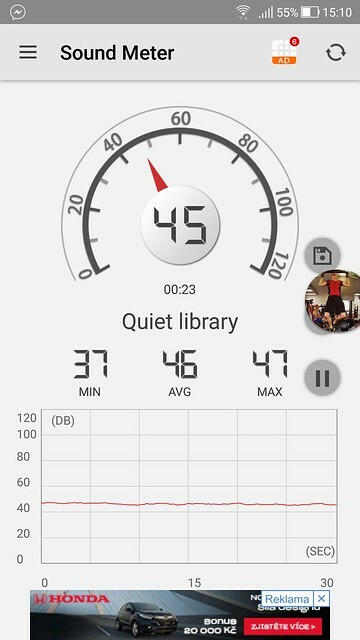 And must say, 46 dB is still solid quiet on this distance. 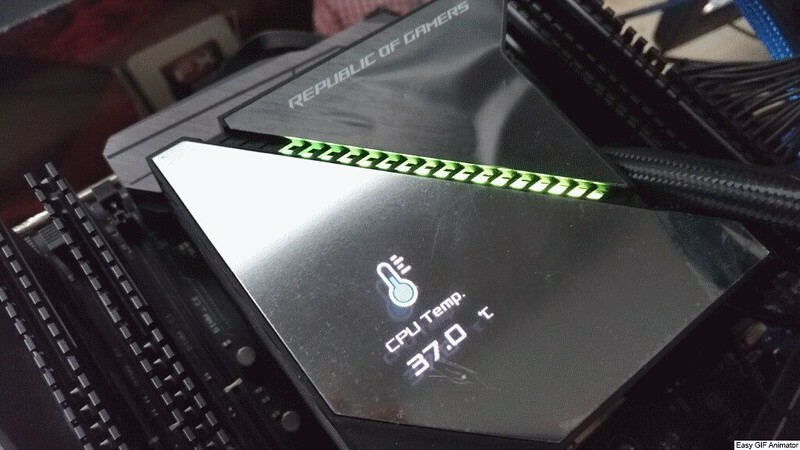 The max temps were up to 70 C. For so big boy as Threadripper is it good result. Ussually first gen of Threadrippers can hold between 3.9 GHz up to 4.1 GHz, depends on quality of chip and cooling methods. My sample is solid, I tested it one year before. With LLC3 and 1.275Vcore I got final frequency on chip 3950 MHz. I was close to 3975 MHz, but after some time I got error. Average temperature was 71 C on chip. 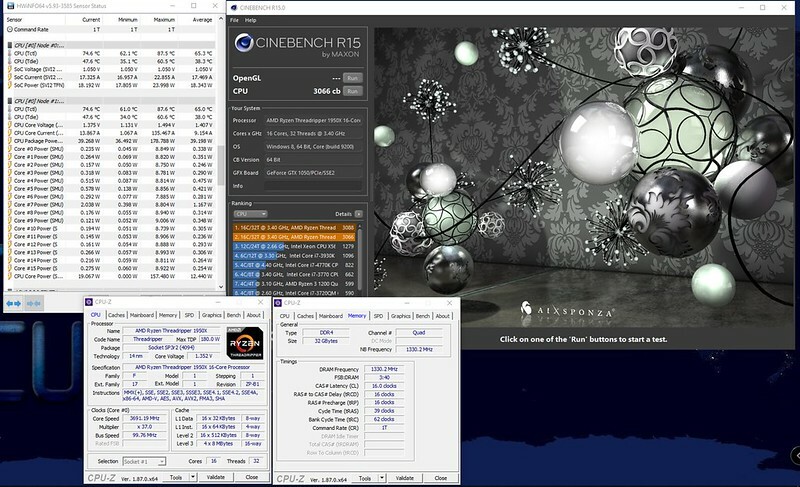 I tried also Cinebench on maximum. 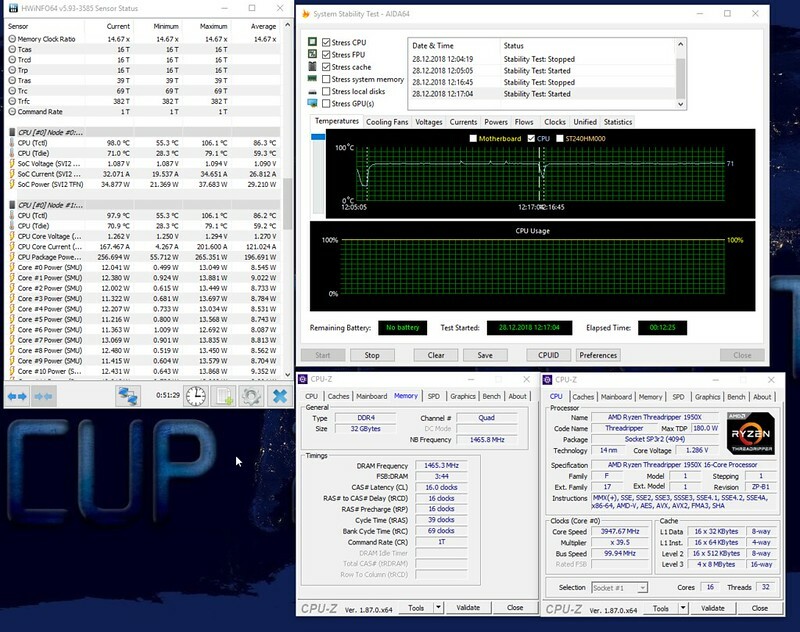 Up to 4050 MHz on all 16 cores and 32 threads. 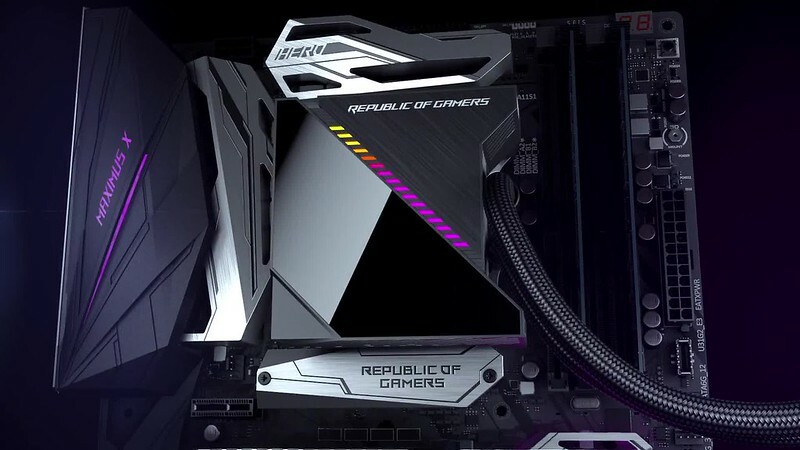 If I compared full cover IHS AIO cooler with ROG Ryujin 360, there is some difference. 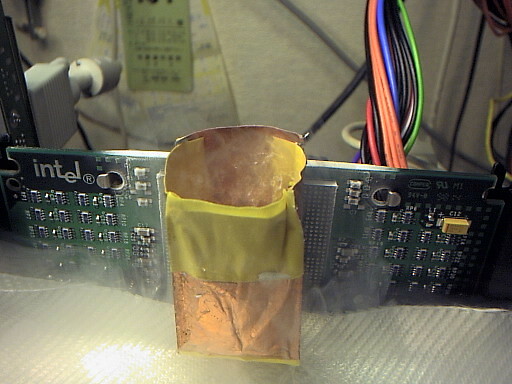 Still, TR4 coolers are more specialized and some part of heat can be on corners of IHS (there are not CCX, but some heat from it). So basically temps on die are a little lower and thats mean a little higher OC. But AIO TR4 are only for TR4 platform and can not use it for another else. 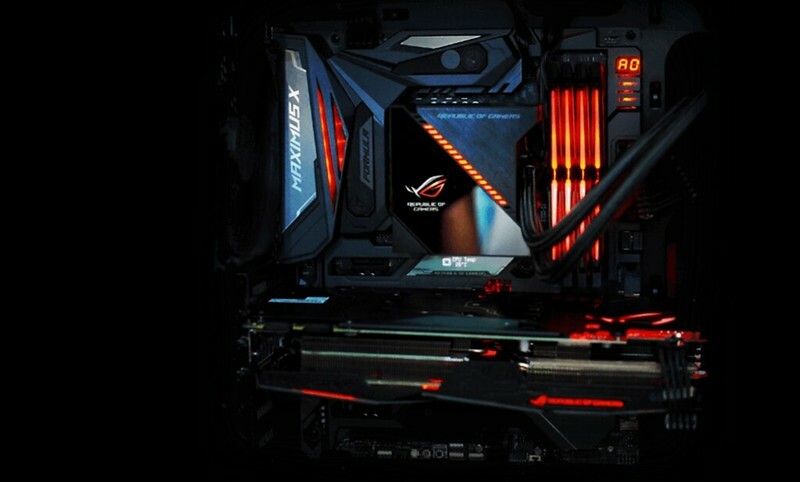 ROG ryujin is more multipurpose. 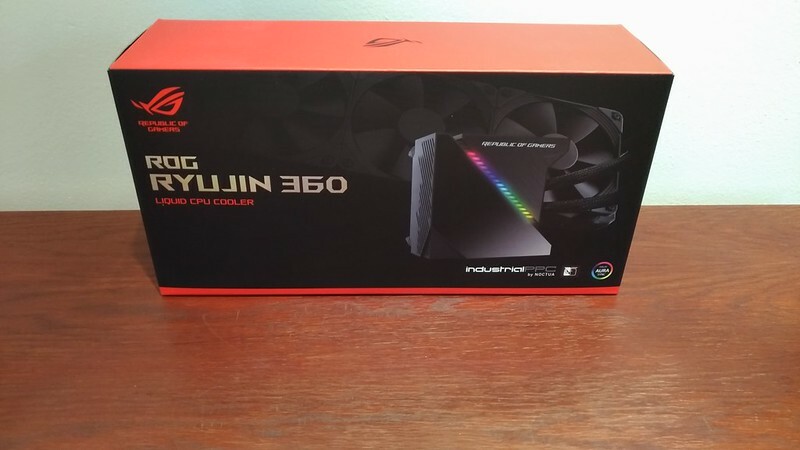 The price is not the best, but...I like design of the cooler, OLED display and also small cooler to cooling the VRM. Thats very good idea. Of course I can not forget on Noctua Industrial series fans. These are really quiet. 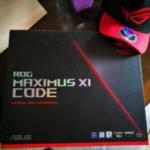 Manufactory process is on high level - classic Asus. I like also software part to tweak the pump+fans in FanXpert. The main HW statistic information you can have on your OLED display. Why not. The cooler is really quiet , specially in idle. 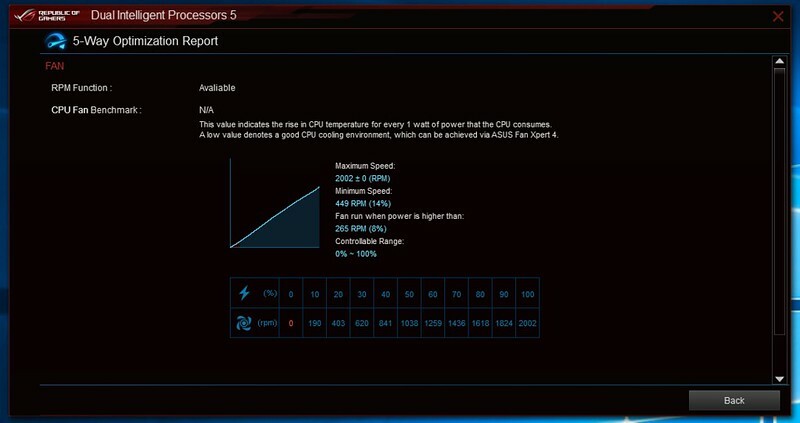 Of course with high overlcocking the noise will be a bit higher, specially on platfrom, where the CPU has close to 300W package :-) But on "standard" CPUs it will be different story (ussually around 180-200W after OC). After few hours I manaje to add the bios. (dont ask) i mount the last bios 0808. Install windows install the chipset 18.40.02 the last one. Thanks for any help. 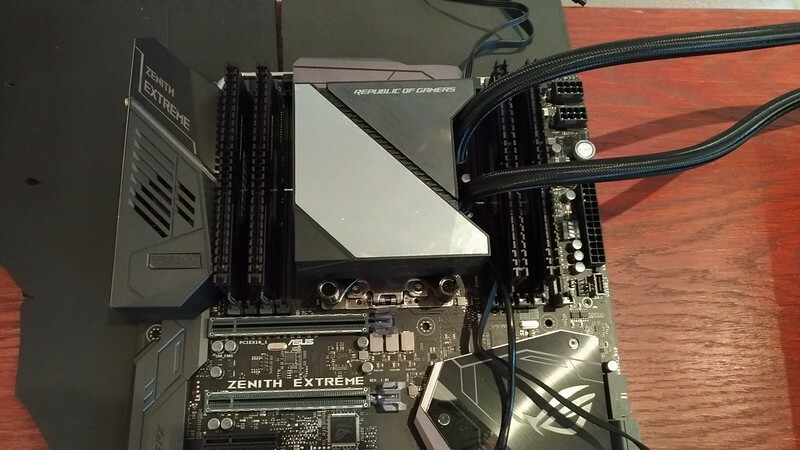 i am good with x299 and z390 and below but these is new for me. I'm reading a little late, but very thorough review! I think reduction should be retention. That part confused me a bit. I estilo need help. 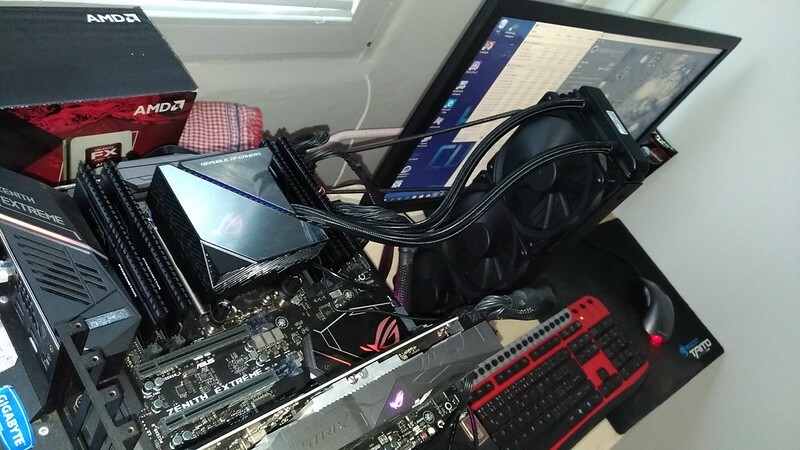 I am running x399-e. With 2950x. Bios 0808. 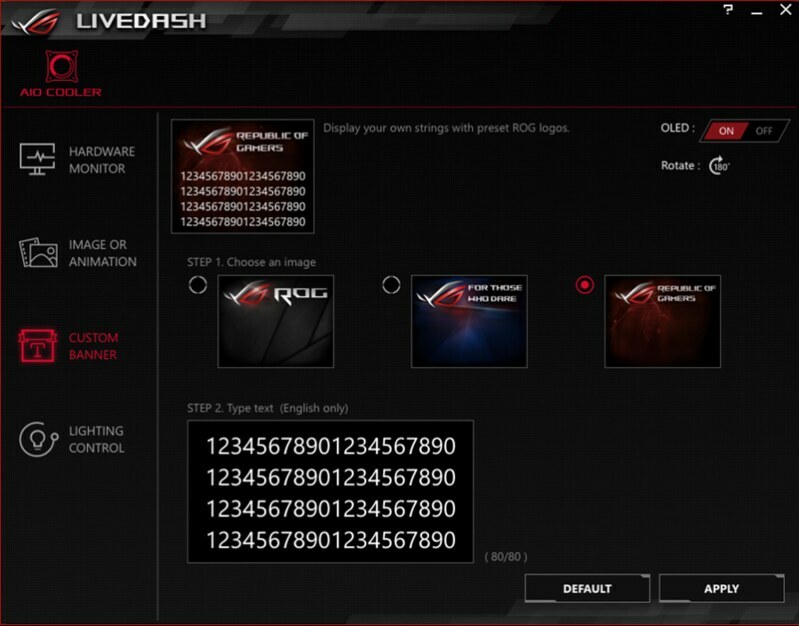 Last chipset from.asus website. I can not run the ai suit. I all ready running the firmware update. But what ai suite and what app or dash?? Right know I unplug the current, and usb from.the aio in order restart the device. 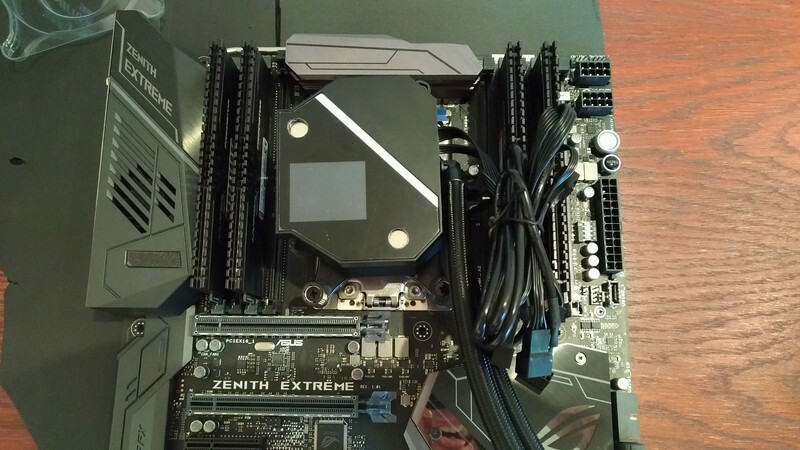 itzycharles: whats your model of motherboard? 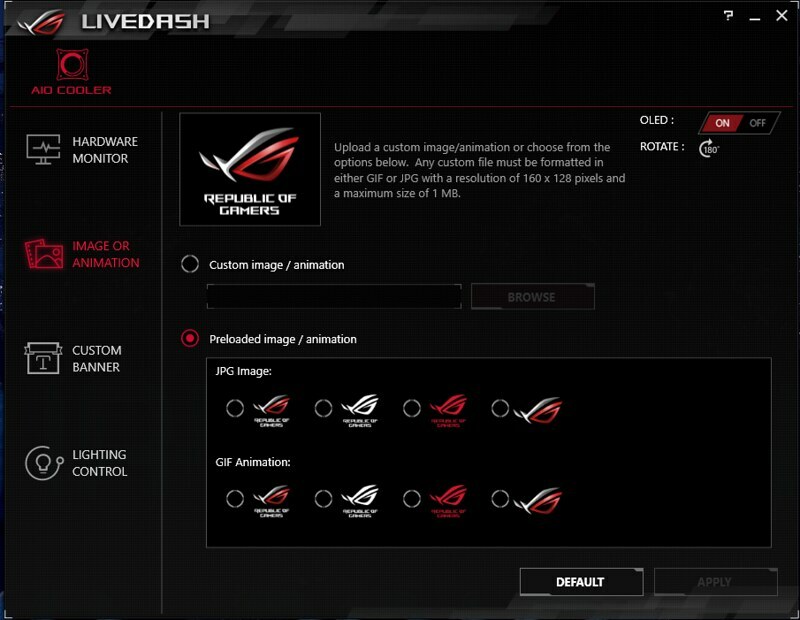 If Asus, you are OK. If not, you can not install the Ai Suite. Thanks for the msg. I have to send the pc to my friend office all ready. i have not have the chance to check errors. 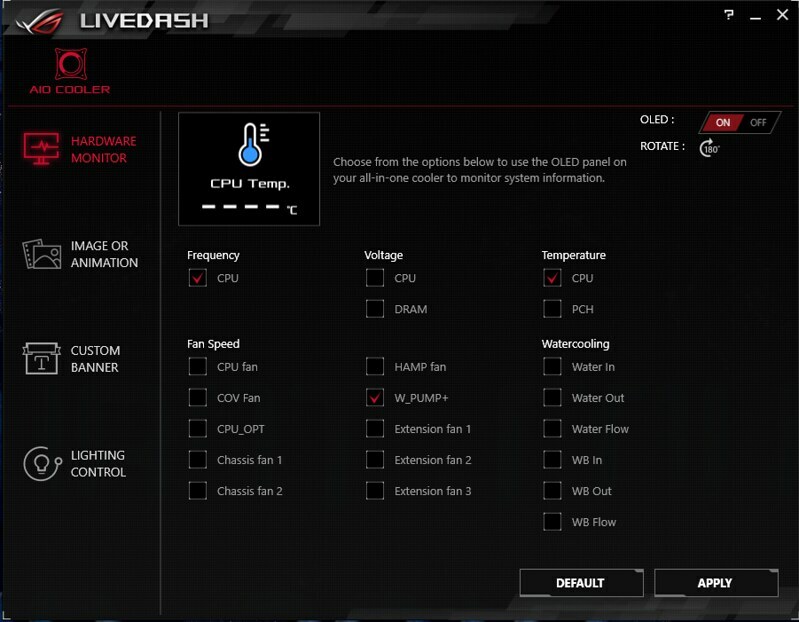 What i did add a spliter and conect the fans to cpu and the pump on the aio port of the x399-e. control the pump on bios. and that make the trick. I will try to get one to my z390 code xi as soon i can. I have to ditch the ai suite on my board cause It was make some issues with Davinci video software. I will ask help to developers since I am running the drivers from the post (drivers only) and is very stable now. 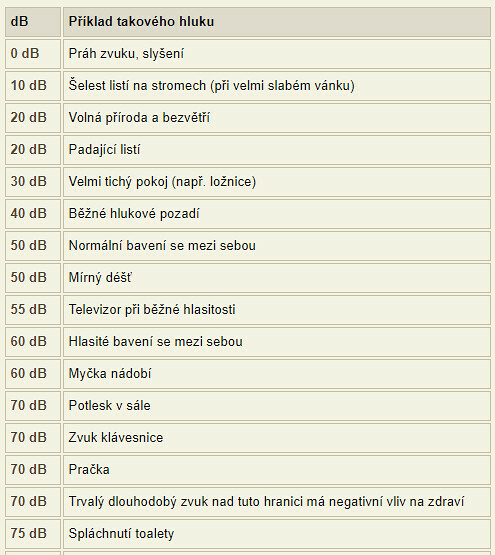 there few builds that i need to help users here that they do not speak English.